MISOI JONATHAN went to Cheyakwai primary School. 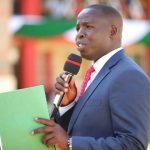 For his A levels he joined Kapsabet Boys High School and thereafter joined Moi University for his Bachelor Degree in Information Technology and graduated in 2006. He pursued Masters in Computer Science and Specialized in Web Information Systems at the Vrije Universitet Beligium (VUB) -Brussels and graduated in 2012. Misoi has worked in the ICT industry in various capacities both at Private and public organizations. 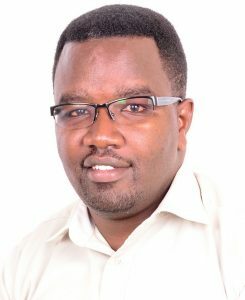 He joined Family Bank in 2008 as systems analyst, later moved to Kenya Revenue Authority, Eldoret Branch as Systems Analyst until 2009 when he joined Moi University ICT Directorate as a Senior Assistant Database Administrator. 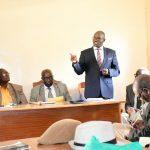 Misoi rose through the ranks with notable positions as Webmaster, head of Information Systems and finally as the Lead Technical Supervisor with the government Digital Literacy Project where he oversaw distribution of Tablets to over 12,000 primary Schools in 26 Counties. He was part of the team that established the Moi University DLP Assembly Plant. He has taught Computer Science at JKUAT and CUEA and has spoken in many technology forums. Misoi Jonathan has attended many International Conferences and presented papers. He is an ITU Youth Fellow after representing Kenya in 2006. To top it all, he is an author of ICT Cake book, that helps motivate the youths to join the fast-moving path. 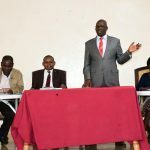 He sits in three boards of a primary School and Secondary Schools and is currently the President Elect of the Rotary Club of Eldoret Uasin Gishu.